Your food co-op works hard to support local producers and innovate to solve important issues in your community. 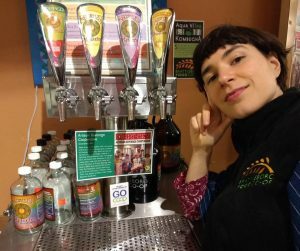 And, food co-ops across the region are working through the Neighboring Food Co-op Association to create a thriving co-operative economy, rooted in a healthy, just and sustainable food system. By choosing products from co-operative businesses, you are helping people to help themselves, build stronger, more resilient communities, and strengthen local economies by creating jobs and wealth that stay in the local community. NFCA Convenes Co-op Leaders for Three-day Training with Saint Mary’s University on Leveraging the Co-op Identity for Business Success. The co-operative model offers unique advantages for building customer loyalty and business success. And yet, there are few opportunities for co-op managers and board members to explore co-operative management strategies at the graduate level or at business schools. In 2002, a group including food co-ops here in the Northeast got together to help address this, launching what is now known as the Co-operative Management Education (CME) program at the Sobey School of Business at Saint Mary’s University in Nova Scotia. The NFCA is among the members of the Co-operative Management Education Co-op (CMEC), a unique organization that oversees this international program offering the only Master of Management for co-operatives and credit unions in the English-speaking world. Still, graduate school is not for everyone, and as part of our effort to make quality co-op management training more accessible to co-op leaders in the Northeast, the NFCA recently began a collaboration with SMU to make learning opportunities available here in our region. The course also offered opportunities for participants to explore the CME Master of Management program, as well as certificate and diploma options. Moving forward, the NFCA and Saint Mary’s CME are exploring collaboration on future training opportunities. If you would like more information or are interested in participating in a future course, please contact Bonnie Hudspeth, NFCA Member Program Manager, at bonnie@nfca.coop. Corn and Peas and Berries, oh my! Whether it’s classics like Green Bean Casserole, corn bread, pot pie, corn relish or blueberry pie, or just plain peas and corn medley, you can choose Northeast grown ingredients for your holiday meal from the freezer section of your co-op. Your co-op has the ingredients you need for making your holiday meals special. When you choose local ingredients, you can keep family farmers thriving and have quality ingredients for your special meal. Neighboring Food Co-op Association (NFCA) Blueberries, Organic Edamame, Organic Green Beans, non-GMO Sweet Corn and Green Peas are available year-round and easy to use in your favorite recipe. Our farmers have worked hard to bring us fresh fruits and vegetables throughout the season. We now have Green Peas available in clear, 10 oz packages. Peas with tortellini, peas and carrots, pea-and-bacon risotto, Paella, beef stew, they all have peas! Versatile and convenient, NFCA frozen peas are easy to use! 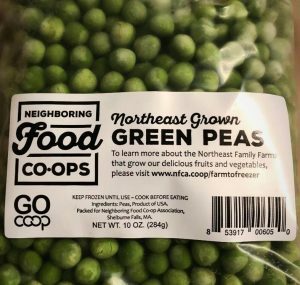 Bringing Northeast grown fruits and vegetables to you through your co-op is a part of NFCA’s vision of a thriving co-operative economy, rooted in a healthy, just, and sustainable food system and a vibrant community of co-operative enterprise. For more Farm to Freezer information and more recipes visit: www.nfca.coop/farmtofreezer. Parish Hill Creamery produces seasonal, hand-made, raw milk cheeses inspired by the traditional cheeses of Italy. Parish Hill gets beautiful milk from Elm Lea Farm at The Putney School, just up the road from the creamery, and the milk is the result of healthy animals grazing lush pastures. Whole raw-milk cheese, long-aged Asiago-style Herdsman, is made when the cows are grazing on hillside pastures and is aged at least 12 months to develop a full, slightly sharp flavor with hints of pineapple and hazelnuts. The supple interior becomes granular as the cheese ages beyond a year. The straw-colored rind is an edible rind as well. Try Vermont Herdsman in any recipe calling for an Asiago or Parmigiano cheese. 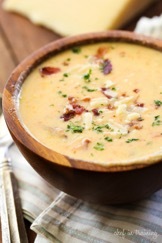 Try this Bisque, excellent for cool weather meals. In a large saucepan, melt the butter and sauté the onions, celery and carrots. Add the potatoes, wine and chicken stock. Cover and cook over low heat for 20 minutes or until the vegetables are tender. Add the half and half and cook another 5 minutes. Remove from the heat and stir in the Herdsman. Blend the soup with an immersion blender until creamy. Garnish with bacon and more shredded cheese. Act Now: Tell Your members of Congress that a Strong Farm Bill Must Support Farmers AND Consumers! As a member of your local food co-op, you care about good food — where it comes from and how it is produced, and ensuring that our neighbors also have access to healthy, nutritious food for themselves and their families. And more than ever, we need your voice to support a strong Farm Bill. The United States Farm Bill, as one would expect, addresses agricultural issues such as research, conservation, and crop insurance. Some would be surprised, however, to learn that critical nutrition programs are also included in this legislation that includes hundreds of billions of dollars in funding. In fact, the 2014 Farm Bill allocated $756 billion in spending over 10 years on nutrition programs, claiming the largest fiscal component of the legislation. The bulk of this money is dedicated to one program: the Supplemental Nutrition Assistance Program (SNAP), once known as food stamps. For more than 50 years, SNAP has served as the nation’s primary nutritional safety net, allowing families to meet one of their most basic needs – access to food. Every five years, Congress renews this piece of legislation that affects every part of our nation’s food system. This time around, negotiations have been contentious as some lawmakers have proposed to decouple nutrition programs from farm-specific programs, and to implement new work requirements making it more difficult for people to qualify for SNAP and other programs. The average individual SNAP participant receives $125.99 in benefits monthly, while the average household receives $254.38. That comes out to about $1.40 per meal. SNAP participation nationally was highest among households in rural counties, where 16 percent of households participate, compared to 13 percent of households in metro counties. The number of people participating in SNAP has declined by more than 4 million people, or 9 percent, since December 2012, reflecting the program’s responsiveness to an improving economy. Seventy-nine percent of adults receiving SNAP are either working, looking for work, or cannot work due to a disability. Many others are full-time caretakers for children or relatives with disabilities. Able-bodied adults without dependents can only receive SNAP for 3 months in 3 years if they do not meet work requirements. Fraud is extremely uncommon – at just 1.3 percent money lost to underground trafficking, SNAP continues to have one of the lowest fraud rates for federal programs. As Congress returns to DC, one item on their long to-do list is renewal of the Farm Bill, which is now overdue and being funded on an interim basis. There may be no more important time for lawmakers to hear from food co-ops and their members. 1. Make Your Voice Heard! Strengthening conservation programs to support farmers in protecting our land and water. Funding programs that support the next generation of farmers in securing our food supply and stewardship of7 our land. 2. Become a “Friend of the Farmer”! A strong Northeast food system depends on strong Northeast voices in DC. By joining the New England Farmers Union (NEFU) you will help ensure that our region is represented before lawmakers. Members of NFCA Food Co-ops can join for a special discounted rate of just $15! For more information, visit https://newenglandfarmersunion.org/join/.